The slice-of-bread sized cheese slice is for perspective. This is the emergency or back up meat that El Jefe brought home the other night. Have you ever seen such giant hot dogs? 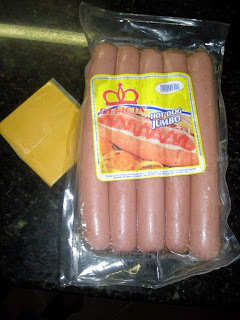 This package of 10 hot dogs weighs 2.25 KILOs! That computes to one-half pound of meat per hot dog. He guards these away in the freezer for those days when his mujer (woman) isn't providing him with enough meat. I never touch them. I am one of those people who completely tune out commercials. I don't see them, I don't hear them, and when it's over I couldn't even tell you what product it is that I'm supposed to buy. Marketers, your million dollar ads are completely wasted on people like me. However, very rarely I do catch a commercial. I was fascinated by the commercials for the iPhone and the skinny Macbook or whatever it was called. Not that I had any interest at all in buying one, but I liked to watch those commercials. I liked to see the MacBook slide out of the interoffice envelope. I don't know if it was the music that caught my attention or what. Someone should find out, though, because it could be very valuable to know. I caught a commercial the other night that made me laugh out loud! True to form, I couldn't tell you the name of the company, but a great commercial nonetheless. Girl: "This salad is really good. Do you want to try it?" Guy: "No, thanks. I'm a meatatarian." Guy: "I'm a meatatarian. I only eat meat. It's a personal choice. I hope you can respect that." Did you laugh? Wow. I did. Oh, I love made up words like that. I think everyone should eat whatever they want to eat and not be judgmental about others (except when it comes to ketchup, of course). I eat meat. I eat veggies. I think if I had to make a personal choice, I would be happiest to be a Carbatarian (my own made-up word). No one would approve of that, would they? In trying to find out more about this silly commercial, I discovered that there is a whole Meatatarian movement out there. I think that I could live without meat but I've just never tried. Trying to do that in my household would go over like a .... (give me something here; I don't want to say 'lead balloon').... something not good. It could result in a sort of international incident. A culture clash of immense proportions. Them Hondurans, they likes their meat! Three heaping plates of meat a day would put any Honduran in heaven. It doesn't even have to be chewable. When I first moved here, I said the country should be called "Meats-R-Us." Wait! To be fair, my El Jefe loves fresh veggies, green salads, pasta salads. I've introduced him to tons of fresh veggies that his family could never afford when he was growing up and they probably weren't available anyway. But in the interest of full disclosure, if I announce that I'm going to make a salad for a meal (What?! A salad is NOT a meal! How un-Honduran is that? ), he will ask, "Well, you are going to put some meat in it, aren't you?" so I usually do add some chicken or something so he won't just waste away and die from not having meat at one meal. It is entirely possible that Hondurans are behind this entire Meatatarian movement. "You are crazier than a goat"
Whether it is a move, a job, a wedding, or a vacation, N. Americans prefer to research, study, plan, organize, schedule, and book in advance. They like to know when, where, why, how, how much, and how long it will take. They like for things to be logical and timely and come in on budget. They want to enter it on their calendar and neatly check it off the day it is done, which of course will be the day that it was scheduled to be done. I have to chuckle at some of the plans that I hear or read about, not at the people − because I understand completely where they are coming from − but at the situations. No matter how carefully something is planned and organized, it just won't happen that way in Central America. You can ask 20 people and lay out the best plans in the world based on the best information in the world with the most reliable people in the world, but it just won't happen the way that you planned. The bus will be late or leave an hour early, the ferry won't run that day, the taxi driver will take you to the wrong place, the people you were supposed to meet won't be there, the restaurant will be closed, the "sistema" will be down, the store will be out of stock, the bank will be closed, the plumber won't show up, the transportistas will be on strike, the electricity will be out, etc., etc., etc. SOMETHING will happen to ruin those well-thought out plans. Here are some of the best tips that I can give to expatriates in Central America: Go with the flow. Make your plans but knock them down a few notches. Allow room for adjustments. Be prepared to change your plans, and then to change the changes to your plans. Lower your expectations. Be happy if you can get two things done in one day and don't even try to accomplish ten as you might do in the US. Enjoy the small successes. You'll live longer and we won't have to lock you away in some Central American insane asylum. Shouldn't that be a straight line? Sitting here on the terraza looking across at my neighbor's plot markers, I have to tell you that anyone who doesn't get an independent survey of property they are considering buying in Honduras is CRAZY! The owner split the property into two lots and then later into three. Every time she showed the property, she would spend 10-15 minutes looking for the markers and sometimes I would see her just throwing up her arms as if to say "Who knows?" At various times, I've seen her try to poke a stick into the hard ground to mark the boundaries. For years, El Jefe and I joked about finding the property boundary markers for her, sticking an iron bar in, and painting it red, just to avoid having our dogs bark at strangers for such a long period as they search for the markers to show potential buyers each time. The owner has finally read my mind, and has had red painted pvc pipe placed where the boundaries are 'supposed' to be. At least twice that we've witnessed so far, she has sent a couple of guys out to mark the new division of the lots. Talk about bozos! They use a flexible tape all twisted up and hanging slack for starters. Most importantly, they don't consider the steep slope of the property. Ten meters measured straight across doesn't relate at all to ten meters measured down a slope! The second and third lots are steeply sloped and I've seen the measuring guys scratching their heads as they compare the diagram to their measurements and adjust and readjust the markers. I know nothing about how land surveys are done but I know enough math to know that this won't work. Just look at the photo! You can see that the markers at the top of the property bear no relation to the one at the bottom on the slope. In fact, the two markers on the level part of the property don't even make a straight line when compared to the line of the (straight) street in front. They must have had the tape measure snagged up on a weed or something. How is this supposed to be done anyway? Anyone know? I suppose if your property is on the side of a mountain there would be no other way but to measure the distance down the hill. Does that mean if we filled in our sloped property we would miraculously then have more property? But obviously in this case where most of the property is level and one side slopes it can't be measure purely by distance down the hill. The original developer placed markers, most of which our constructors just pulled up and threw away because they "were in the way." The developer told us to just go ahead and take an extra meter or two at the back by the creek since no one would care. Seriously! He told us that. No, we didn't. I was too worried about someone coming along later and telling us that we had to knock down and move our muro (concrete fence). So if you find that your neighbor has built his fence across the middle of what you thought was your property, don't say that you weren't warned! "He who talks will be killed"
Bishop Luís Santos risked his life to tell La Prensa about the terrible reality of those who live in the towns of the corridor of drug trafficking in the departmento (state) of Copán. Gunfire, anxiety, and complicity for fear of being silenced is the daily life of habitants of several municipalities in the departmento of Copán. The narco underworld maintains a tight rein on anyone who tries to confront them, regardless if they are police or municipal authorities. With a 'llamadita' (little call), they get immediate protection from the international cártels. 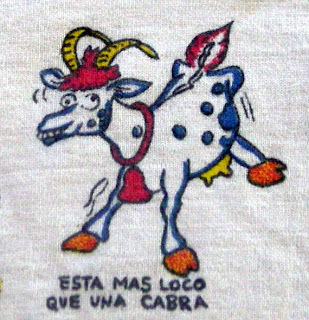 "If you go to Gracias, Lempira, you find cocaine sellers. In the isolated and inhospitable Erandique, the same. In Camasca and other hamlets, the family remesa (money transfers from US relatives) is spent on alcohol and drugs." "In San Antonio and Colomoncagua, the constructions that you see are evidently from money produced from drugs. There you see fences, homes, cars appear from one night to the morning." There are many forms to cover up the money from narco activity. In addition to cattle ranching, in Santa Rita there are grand restaurants where disorder reigns. In El Paraíso, the girls don't accept a boyfriend if he doesn't have the ultimate model car, cars that only the narcos have. Only the church remains in El Paraíso, because everything else has been bought by the narcos, houses, buildings, ranches, etc. 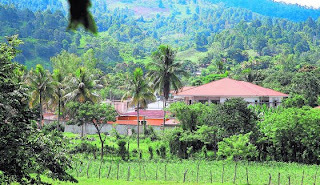 The bishop stated, "In El Paraíso and El Espíritu, Copán, there are aldeas (villages) where you can see for yourself mansions like there are in Lomos del Guijarro of Tegucigalpa (probably the most affluent colonia in Honduras). Where does the money come from? It is narco money." In the mountain range of El Espíritu, they hear heavy weapon gunfire at 7 p.m. The people enter their homes because this is the hour when the narcos are traveling. They guard their silence for fear of reprisals, because if they talk, the criminals don't threaten their lives, they kill them. Some of the police chiefs are conspirators, allied with narcotrafficking. Almost all of the drug capos of Copán are well connected with their international cronies. 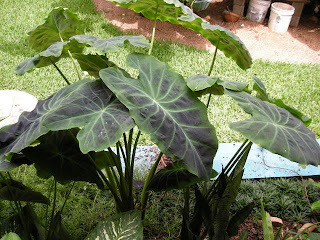 An example is the renowned 'Mamalicha'. He was in prison in Copán Ruins and they said he had AIDS. They let him go after two years but now he moves about there as if it was nothing. He told the police, "You can't do anything to me. A 'llamadita' and I'll immediately have international protection." Another problem is that the population has no trust in the police. The police are a danger. One citizen was held up and the criminals took his documentation. He went to the police and they were the same perpetrators. Another problem is that there is no justice, but this, they explain, is because the judges are afraid. There is no security for anyone. An incarcerated man named Chinchilla of the gang of the same name said he was sick. They took him to a hospital and under guard, he was allowed to escape. The people say that the officers were paid to turn a blind eye by the narcos. This is harmful for Honduras because if the police are inside this drug business, we have no defense. In this tense atmosphere, where the unexpected can happen in any moment, the people are praying with the feeling that what happened to someone else could happen to them. The bishop expressed that in La Entrada, they kidnap people for 10 or 20 thousand lempiras. (US $529 - $1,058). The crime is uncontrollable. They say, "If you want your car, pay L.20 thousand." To not lose the L.300 thousand value of the car, the people pay the L.20 thousand. Many of the narcos say they are Catholic but they don't come to mass. Their relatives do and they are received with equanimity. It is a double edged sword, because they could be sincere, or they could be there to report back to the narcos what is being said in church. El Espíritu, Copán, is a tiny community with a population of about 3,000 where sophisticated security systems are installed in any house and heavily armed men walk the streets and drive the roads. Though the main street of the town is not even paved, the high economic level of its citizens can be seen in the elegant two-story houses, luxurious cars, and modern communication equipment. El Espíritu is not famous for its lifestyle, but for rumors that it is the refuge of 'El Chapo' Guzmán, jefe of the Mexican organized crime cartel of Sinaloa, "most wanted" by the US Drug Enforcement Administration and in 180 other countries, and for whom the US has offered a $5 million reward for information leading to his capture. La Prensa has private report which indicates that the mystery jet abandoned at the Tegucigalpa airport in February 2006 was used to transport a large quantity of dollars. It is presumed that Mexican drug king El Chapo Guzmán arrived on that jet, which was later auctioned by the Honduran government. DEA officials suspect that this capo has been in Honduras and has liquidated local cocaine distributors. According to north American intelligence information, Guzmán was in Honduras' Bay Islands and probably in Copán Ruinas. 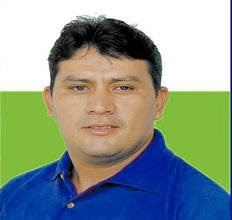 Guzmán escaped from a Mexican prison in 2001 and has been trading arms for drugs with FARC of Colombia. Ex-Ambassador Charles Ford, who has been speaking out quite candidly since he rotated out of Honduras, said that the relative success of anti-drug trafficking operations in Colombia, Mexico, and Guatemala have resulted in a rapid augmentation of this problem in Honduras. He stated that 'gente grande' (important people) have come to Honduras recently and that the US estimates that one third of the remesas (money transfers) from the US are actually money laundering, rather than money sent to support family members back in Honduras. Activity laundering is also an important theme. "This has also increased and it is for that reason that we see so much construction and note the classic signs of having money that is not the product of something good." The minister of security is very worried about the increasing quantity of crack cocaine confiscated daily from young Hondurans, adding that this is the pay that the narcos give the "mules". The crack is then sold in the vicinity of schools and youth entertainment centers. "We view with great concern that a large part of the youth consume cocaine. I urge parents to know where their children are going and whether they are consuming drugs. Another problem is that various attorneys come to reclaim the confiscated assets of narcotraffickers and in some cases they get them back from the courts, despite the fact that the law establishes that the assets be transferred to the state. 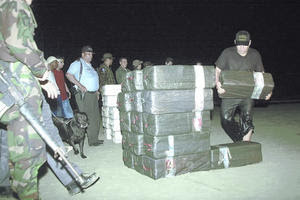 Besides returning various autos confiscated in drug raids to the narcos, the minister of security reported that a boat seized in a drug operation, in the hands of the agency responsible for such assets, was rented out by the government, and then recaptured again in another drug raid a few months later. The laundering of activities is the strongest arm of the drug cartels. This is a crime that is almost never persecuted in Honduras and for that reason, Honduras is considered a paradise for those dedicated to this illegal activity. The conglomerates in general look for politicians and businessmen to launder money on a grand scale. They also use common people to launder money on a smaller scale with the installation of businesses. 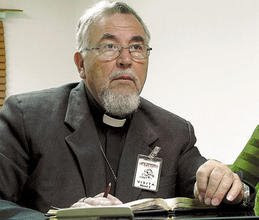 More about narcotrafficking from Bishop Luis Santos in Part III tomorrow. Honduras is at the point of converting into a narco state." Recently Ambassadors from the US and France in Honduras have publicly suggested that Honduras is becoming a major center of narcotrafficking and many others have suggested that high level officials in the government and police are connected. President Manuel Zelaya, who seems to follow the theory that 'if it isn't reported, it doesn't exist', was enraged at the comments, claiming they are trying to damage the image of the country. He angrily threatened to "take measures" against the Ambassadors, who Zelaya says "shouldn't opine about our business". Narcotrafficking and money laundering is something that virtually everyone in Honduras at least vaguely thinks about and most have their suspicions about certain people and/or activities. Last week, La Prensa published a week-long investigative report of narcotrafficking in Honduras which brought to light facts which support the statements of the Ambassadors. In the early morning hours on June 15th, one of the most wanted capos of the Atlantico cártel fell into the hands of a police operation in Santa Barbara, Honduras, along with 30 of his compatriots and an arsenal of illegal weapons. The 32 police officers confiscated arms including MP5s, M-16s, 9 mms, 38 specials, shotguns, and two AK-47s, as well as 13 SUVs blindados (bullet proof). With the excuse that they had committed no crimes − despite the fact that they were carrying weapons illegal in Honduras and could have been arrested and jailed under Honduras' strict 'illicit association' law − the police officer in charge ordered that the guns be returned and that the narcos be released. He ordered the police to put down their guns, but the subcommissioner of police yelled, "raise up your weapons!" 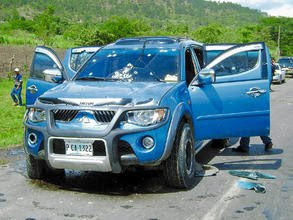 As reported by one anonymous police officer who witnessed the event, after much argument between the two police chiefs, with the capo demanding to be released, the weapons were returned to the narcos, a band which is said to be dedicated to murder for hire and auto thefts as well as narcotrafficking. A few hours later, the chief of police was relieved of his duties and suspended from his position by the Minister of Security, but no charges were brought against him, even though there were 32 police witnesses to his actions. Elements of the police affirm that in many occasions, narcos provide free recharges for the cellphones of police agents who will keep them informed of police operations. Others pay in US dollars for any information about raids. More frequently now, those involved in drug trafficking are being paid in drugs rather than money. Another agent stated that many of the captured narcos are released almost instantly due to the political influence that exists in Santa Barbara. The departamento (state) of Copán is considered to include some of the major routes of drug trafficking because of its borders on the frontiers of Guatemala and El Salvador. La Prensa investigators noted constant helicopter flights overhead during their four days in Copán, flights for which the police had no information, and were shown a clandestine narco airstrip. Recently constructed dirt roads through the mountains in perfect condition, isolated communities with private, guarded access, US dollars circulating as often as the lempira, and displays of wealth among the previously poor communities are testaments to narcotrafficking. Despite that, no elements of the Dirección de Lucha contra el Narcotráfico or the Groupo Especial Antinarcóticos are assigned there. On the dirt road to the city of El Paraíso, Copán, entrance is blocked by a gate, guarded by armed civilians. Only those who roll down their windows and report in are allowed admittance. The 32-year-old mayor with a 5th grade education is guarded by 20 body guards and proclaims himself to be "Rey del pueblo" (king of the village). From the borrowed room currently used as a mayor's office, reporters noted heavily armed individuals all around. The self-proclaimed 'humble' dairy farmer is planning to build a L.12 million (US $635,000) municipal building modeled after Washington, D.C.'s White House, complete with helicopter pad and digital cameras in every corner. When asked by reporters about his wealth and rumors of illicit activities, he brags that he originally borrowed L.50,000 from the bank, then L.500,000, then a million, and now has a loan for L.10 million. He projects by the time he is 40, he will be able to borrow 20-30 million lempiras. While often mentioning God, his interview is peppered with words like verga, mierda, and jodido. More tomorrow about Mexican drug capo 'El Chapo', money laundering, and the Honduran government renting a boat to narcos. More from Bishop Santos in Part III. Readers have left so many comments mentioning that they wanted to raise chickens that I thought I would give a little overview. According to members of my Organic Chicken group, chickens can be raised in most cities in the US. There is usually a limit to the number that can be kept in urban areas, sometimes based on the size of the lot. 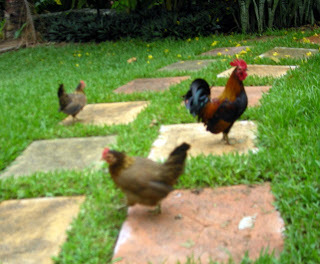 Often roosters are outlawed because of the noise. In some cities, zoning laws require that the coop must be an appropriate distance from your neighbor's house. The hens don't make much noise at all, except when they are "announcing the egg" which is usually during the day. So, if you are really interested, you might check with your municipality about their rules. Many people find that if they give a few fresh eggs to the neighbors now and then, the neighbors are less likely to complain. Hens seem happiest if there is a rooster around but if you can't keep one or don't want a rooster, try to keep at least three hens. Chickens are social creatures and like company. The third hen is for insurance in case something happens to one of the others. Hens will lay eggs without a rooster around. The eggs just won't be fertilized so you won't be able to hatch more chicks from them, though that won't keep your hens from trying. 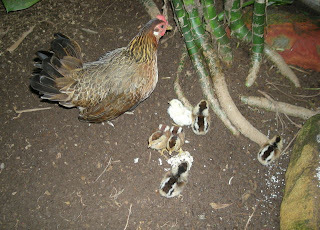 On average, a hen lays an egg every 25 hours except when they are broody or moulting and stop laying completely or when the weather is too hot or too cold and they slow down. The amount of sunshine also affects the quantity of eggs laid. People also worry about the mess or odor. Those problems will depend on the number of chickens and the size of your space. With our bantam chickens, we haven't had a problem with either. They have plenty of space to roam during the day and whatever they do (dodo? ), it's less of a bother than one chihuahua. Chickens do most of their pooping at night in the coop while they are roosting. 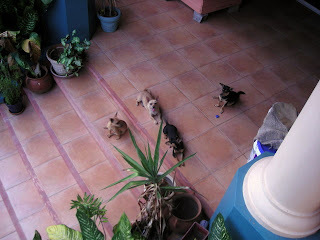 At first, ours liked to hang around the terraza during the day. That was a problem but it was easy to break them of it by just chasing them out into the garden. Others worry about the damage the chickens might do to the garden. They do eat the tips of the grass and some leaves. They do little dances where they scratch up the mulch looking for bugs and worms. If you have an immaculate garden with every blade of grass in place, that may bother you. If you are an average gardener, you probably won't even notice. Bantams do less damage, just because they are smaller and can't reach as high. Vegetable plots and delicate flower beds might need some protection from the chickens. 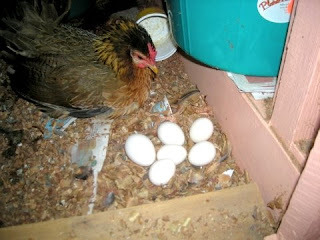 While Bantam (miniature) chickens have many advantages, one big disadvantage is that they tend to be hatching machines. They want nothing more than to sit on their eggs or anyone else's, and hatch those babies. While they are in this broody period, they'll stop laying eggs. I plan to write more about this and have some great photos. Man, those ladies get grouchy when they are broody. 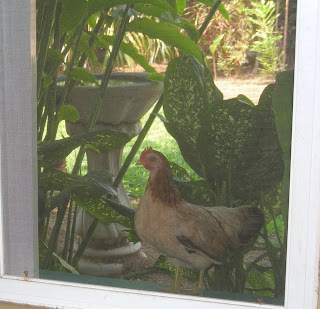 Many people raise backyard chickens in Honduras, primarily the poor. We always get some VERY surprised looks when people see our chickens. They seem to wonder why someone who can afford to buy eggs would raise chickens. The same goes for raising vegetables or making compost. I'm a chicken newbie, so I hesitate to give much advice. If raising chickens is something you are thinking about, I'd suggest getting a book, doing some research on the internet, and talking to some people who already do. I'll just say that for us, raising chickens has been a lot of fun and we truly enjoy seeing the little adornos (adornments) waddling around the garden on the hunt for food. We've had some heartbreaks, too, but overall it has been a fun experience. Wow! I was lost in time (again!) checking out those chicken links. First of all, I want to say that I do enjoy hearing from (almost) :-o all of the Blogicito readers. I have to qualify that because, well, this is the internet and it takes all kinds. If it didn't take all kinds, I wouldn't receive 20 or so spams each day offering to enlarge my (nonexistent) instrument. I have until recently answered every email that seems to require an answer or just out of courtesy even if it didn't seem to need a reply. Hey, when someone writes to say that he enjoys or has been helped by my Blogicito or has been inspired to start his own blog, that makes my day, so I always write back to say thanks. I've also made some good friends through email correspondence, but that is not to say that I always will be able to answer every email. Some days I do almost nothing else and something has to give! Lately, even before my recent maladies, my friends are waiting a week or more for a response while I'm spending time answering emails from strangers! Not to mention that El Jefe would like me to get away from the computer at least occasionally. 1. 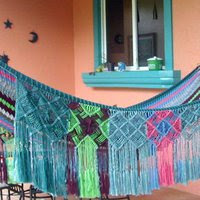 Join our Honduras Living Yahoo group. It's a high volume group with a lot of Honduras-knowledgeable people (expatriates and Hondurans) who will give you the straight scoop. It's always better to get several opinions rather than just one anyway. 2. Read my blog! You can use the Topics in the sidebar to narrow down the articles which interest you. Use the search function in the upper left hand corner or the Google search box at the top of the sidebar for other specific things you have questions about. 3. 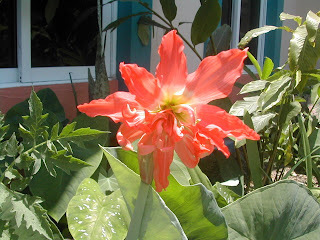 Check out the other Honduran expatriate blogs in the links section at the top. Next to living in a country (which you should do on a trial basis! ), I know of no better way to learn about real life from the expatriate viewpoint. Expatriate blogs from other Latin American countries often write about the same challenges that we experience here in Honduras, too. 4. Do some internet research. If you are looking for a hotel or other touristy type things, I'm not going to be of much help for you anyway. Honduras Tips is a good place to start looking for answers to those questions. Keep in mind, though, that MANY of the Honduran-related websites are not kept up-to-date. 5. Try to be specific in your questions. If I know the answer, I'll give it to you or at least my opinion if I have one, but please consider how much time it will take to answer your question. You'll probably get a 5-minute answer for a specific question, but might not for something that requires an hour-long dissertation. I can't and won't answer questions like "What is it like living in Honduras?" I have a blog with almost 800 articles for that. There is just no way that I can summarize "life in Honduras" in an email or rewrite my previous articles for every person who asks, and honestly, I think it is a little lazy on the part of anyone who asks me to do so. Often people write to me with comments about a blog article. Some have problems signing on, don't have a Google ID or OpenID, are just shy, or want to be anonymous. If I receive an email that I think will be interesting, funny, or helpful in some way to other readers, I reserve the right to post it anonymously on my blog. I also occasionally post emailed questions (also anonymously) to the Honduras Living forum if it is a question for which I have no answer. So, if you trust my judgment, keep writing. If you don't, ...well, then I would have to ask, why are you writing me to start with? Conversely, when someone writes a rude, demanding, obscene, or intrusive email, I reserve the right to post the whole thing on my blog, including your email address. Who is the judge of what is rude? When it comes into MY inbox, it's me. One last thing: A simple thank you is always appropriate when someone (me!) has taken her personal time to help a stranger (you). If I have answered or attempted to answer your questions, please at least let me know that you have received my email. It will encourage me to continue responding to others' questions. I couldn't tell you the number of times I've spent an hour or more answering detailed questions and the person NEVER WROTE BACK to say thank you. Yes, it takes all kinds. I really, really hope this doesn't come across the wrong way. It isn't that I don't want to help you, but honestly, I do not know if the property you found on the internet is a good deal, whether your husband is going to cheat on you, whether you can find a job (probably not), or whether you will be happy living in Honduras or not. 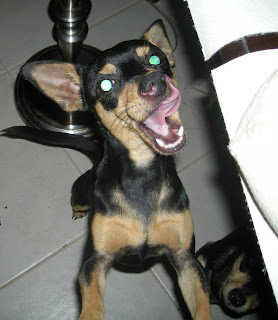 It makes no sense, but these silly chihuahuas eat the chicken food wherever they find it. Even raw rice! I'll let your imagination go to work as to what that does to a dog's digestive system. It's not pretty. 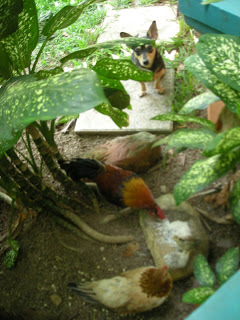 I think that it is just jealousy or that they are trying to show their superiority over the chickens. They don't have many opportunities because the chickens intimidate them. Just in case anyone gets the idea that shingles is some rare tropical disease, I wanted to tell you a little more about it. Up to a million cases are reported each year in the US. When someone gets chicken pox (varicella), the virus that causes it remains dormant in your system throughout your life. The good news about that is that you cannot get chicken pox again. The bad news is that the virus (Herpes zoster) can reemerge, usually after many decades, to attack the nerves in the body and eventually produce a blistery rash which follows along one or more nerve paths. The blisters grow and the rash becomes more hideous over a 1-3 week period. The blisters pop, then fill with pus and then blood, and eventually scab over. Extreme pain occurs in the affected area which can continue long after the rash disappears, due to the damaged nerves. Some people experience the pain for months or even years afterward. Generally, most people experience shingles only once in their life, but for an unfortunate few, it reoccurs. You might ask, "Well, just how painful can a rash be?" It isn't the rash that is so painful, it is the nerve pain under the skin. The virus damages the nerves and causes them to 'misfire'. Some people compare it to being electrocuted. Others say it is like having several root canals each day. One woman said she would rather give birth ten times than have shingles again. I'm sure there are different degrees of shingles and I suppose that the area of the body involved affects the type of pain as well. I have to believe that getting it in the face and head have to be the worst! It is potentially the most serious as the virus can infect the eye and ear and can result in permanent vision or hearing damage. There is no cure for shingles, but there are antiviral medications which help to prevent the virus from spreading and help to decrease the duration and the intensity of the disease. To be effective, the treatment must begin in the first 72 hours after appearance of the rash, preferably in the first 48 hours. There is also a new vaccine to prevent shingles, which IRONICALLY, an American doctor friend in La Ceiba suggested that I get about six months ago, but he said it was for those 60 and older so I didn't think I needed it. I really meant to check into it and find out what shingles was but as his email slipped "below the fold" and eventually to the never-never land of the second page, it was forgotten. D, you told me so, and oh, how I regret that I didn't listen. I really, really recommend that everyone research the shingles vaccine and decide if you can or should get it. I've read that it costs $250 in the US and is not always covered by insurance, but that may not be current information. Still, no matter what the cost − shingles is NOT something that you want to get. Trust me on that. If your insurance doesn't cover drugs, you could easily spend more on drugs than the cost of the vaccine. 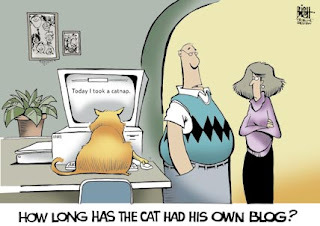 There is a lot of information about shingles on the internet. Medline is very good and Rosemary Appleton's write up of her 4-year experience is harrowing. Her site also includes a list of shingles-related links at the end. My personal experience is here. This is an article I started long ago. It seemed like old news but since people are often interested in medical care in Honduras, I thought it might be useful. My symptoms first began with some strange unexplained and I thought unrelated pains. First I began getting little pinprick pains in my scalp that caused me to go "OUCH!". It was so strange that I finally asked El Jefe to check my head to see if there was something there biting me! Then I began to have excruciating sharp pains in my ear drum which would cause me to go, "&*#@!" (censored). My ear felt perfectly normal most of the time, but about every hour, I would receive a horrifyingly sharp, stabbing pain or two or three in my eardrum. 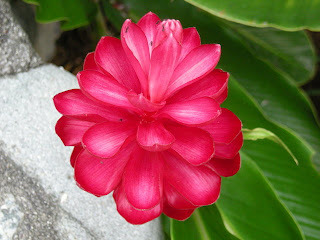 On Friday (June, the 13th, ironically), I felt weak and dizzy and had other flu-like symptoms. Then I started feeling generally bad. The rash began with a few red dots on my forehead along my hairline which I originally thought was just a heat rash. I was really wondering what was happening to me with all these strange seemingly unrelated problems. After the blisters started forming on Saturday and after much internet research of rashes, I was able to determine without a doubt in my mind that I had shingles. I had the unmistakable rash, plus the other symptoms which I originally thought were unrelated. As soon as I figured out what it was and how important early treatment is, we rushed to the best hospital in La Ceiba on Sunday morning. On the way, I asked El Jefe how I could handle it if the doctor misdiagnosed the problem − without insulting the doctor. Oh, I know this sounds arrogant of me, but I KNEW that I wasn't wrong that I had shingles. I'll admit that I'm very afraid of the doctors. I've heard too many stories. The doctor walked into the emergency room, I pointed to my forehead and he said, "Alergia." (allergy) In my distress, forgetting what El Jefe had told me, I said, "No, uh, ....." and the doctor interrupted to guess, "Varicella" (Chicken pox), and again, I said, "No, uh, ....". He then said, "Herpes Zoster!" and I exclaimed with relief, "Si!". He was very nice and very sympathetic about the pain, stressing to El Jefe what a painful disease this is. "Duele. DUUUU-e-le." he repeated several times. I think doctors do that especially here in Honduras because sometimes the husbands are not very sympathetic toward the women and expect them to continue cooking and cleaning no matter their problem is. I, of course, have a wonderful guy who is always understanding, sympathetic, and who took good care of me throughout the duration. Lucky me. El Jefe was very impressed (with me) that the doctor repeated almost everything I had told him from my internet research. The doctor even suggested that I be hospitalized which I thought was way overkill. I said no to that. I was immensely relieved that he prescribed one of the three recommended drugs, though it happens to be the older drug and the two newer ones are said to work a little faster/better. I mentioned that my research reported that but he said that we would never find those two drugs in La Ceiba. He spent some time writing the prescriptions and occasionally gazed up into the air as if thinking, and then would write another prescription down. I ended up with five prescriptions plus an injection − I don't think it is possible to leave a hospital without getting an injection. Everyone loves injections and even patients feel cheated if they don't get one. I wondered if that was overkill, too, and whether he was over-prescribing in order to jack up the bill for the gringa. (Prescriptions were filled by the hospital without asking us if we wanted to take them elsewhere.) Maybe, maybe not, but it seemed strange to me to get three different NSAIDs (non-steroidal anti-inflammatory drugs) and Claratin (an allergy drug). I should back up and say that he mentioned to El Jefe (not me) that the required antiviral drug was very expensive, as if to ask whether we wanted it or not. El Jefe was quick to say that "Her health is more important than money. Whatever it costs, it costs." The doctor nodded and agreed and continued to write the other prescriptions. One thing that the doctor did not mention is that while shingles itself is not contagious, someone with shingles CAN give chicken pox to anyone who hasn't had it. While we were waiting to check out, the nurse told us to wait in a little room to the side. At first I thought it was because I was contagious and I was impressed that they even considered it. But no. Two young school girls came in there to wait. I turned to El Jefe and said, "I shouldn't be around them!" They soon left the room, but when a mother came in and sat next to me holding her newborn baby, I couldn't stand it anymore and went outside to wait. Jeesh! It turned out that the hospital pharmacy was out of the antiviral drug − the most important one. We took the prescription to two other pharmacies before we found it. I was in a panic, fearing that the drug would not be available in La Ceiba, knowing that even waiting until Monday would not be a good thing. While I had written down the names of the recommended drugs, I hadn't written the dosages. After getting home, I checked the prescribed dosages on the internet and was extremely disillusioned to find that the doctor had given the wrong dosage − approximately 1/4 of what the dosage should be according to the drug manufacturer as well as every site I found on the internet. Since early treatment − with the proper high dosage − is so important, I felt like the doctor was really irresponsible not to look up the recommended dosage. El Jefe asked if we should go back to the doctor, but I said, "No way! You know he would just be insulted and probably angry if I told him it was the wrong dosage." Luckily, this is Honduras and a doctor's prescription is not required for most drugs, so El Jefe took my list of drugs and found that one of the other drugs was readily available. It wasn't the proper dosage for shingles so I had to take two pills at a time, but it was better than having to take four pills five times a day with the original drug that the doctor prescribed. Though the rash often occurs on the upper body, mine was on the right side of my forehead and scalp. Both were covered with huge blisters, giving my head a misshapen gargoyle-like look. It spread to my right eye which swelled completely shut. One blister and then several appeared right on the edge of my upper eyelid, poking me in the eye. Eventually the swelling in my forehead, right eye, and the bridge of my nose got so big that the swelling spread to my other eye. Luckily that one never swelled completely shut, though it was a real effort to hold it open enough to be able to function. I could barely wash my face because of the pain and could not even lightly brush my hair on the left side due to the pain. I couldn't even touch my hair. A cough or sneeze resulted in electrifying pain in my forehead and scalp, as if someone pounded in 20 needles at the same time. If a breeze caused a single hair to brush across my forehead, I would cringe with pain. Sometimes I would be right in the middle of a sentence and a terrible pain would cause me to call out, "Oh, *&$%!!" While the pain decreased, it lasted for more than a month. Even now, two months later, my forehead is somewhat tender and has a strange paralyzed feeling. The headaches were almost constant for a couple of weeks after the rash. I was only able to start wearing my contact lenses after about two weeks and then only for part of the day. The forehead skin looked and felt as if it was burned. Just for comparison, the emergency room visit cost L.400 (US $21), which is extra for a weekend visit. Of course, I guess you get what you pay for since I diagnosed myself and had to correct the drug dosage. The cost of giving the shot was L.20 (US $1). The name brand antiviral drugs were about $130, hugely expensive for Honduras. Lyrica, the pain medication that I took for about three weeks was not quite as expensive, running about $32 per week. I'm taking name brand medications as the generics sold in Honduras can be iffy. Overall, I was very impressed with the quality of medical information on the internet and was not impressed with the medical care that I received in La Ceiba. I believe that if I had not educated myself, I would have been treated for allergies for a week or so and by then it would have been too late for the shingles treatment. For more about shingles, see "Shingles - Revenge of the chicken pox." Between losing power, internet connection problems, Blogger connection problems, and correcting typos resulting from numb fingers, I'm just ready to scream. Hahaha. ;-D That made me smile and jolted me out of my lazy stupor. I decided to try to get back on track and finish some of the articles that I've started in the past couple of months. Wouldn't you know it? Today is the day that I cannot connect to Blogger for hours at a time. Aaargh! My coconuts are rotting and falling off the palm. All of them. Yes, my fingers are still numb from the Ulnar Tunnel Syndrome. I guess I'm going to need to go have surgery somewhere before my fingers fall off. My inbox, which I've successfully kept to under 50-to-be-attended-to for the past year or so, is now bursting at about 250 no matter how many I dispense of each day. El Jefe and I were absolutely incredulous to find that the houses in colonia Rancho Lima had increased in price by about 30% since we were there in February. We also wonder where all the people are coming from and where the money is coming from. La Ceiba has actually lost industries in the past seven years, not gained them, except possibly a few more stores than in the past. I just don't think that there has been any sort of large increase in jobs. Wages have increased, but don't even keep pace with the cost of living. New colonias are popping up everywhere! I mean everywhere. Some are large, some are small. Some are very expensive, many are middle-class range, and some are very small, two or three room starter-type houses. But very few are the type that you would expect someone who has been living in a tin shack by the river could afford, so where are they coming from? 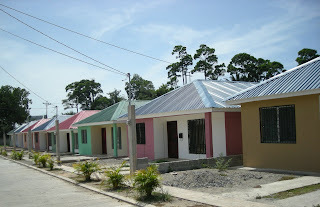 The houses seem to fill as soon as they are built. I don't get around all that much, so I notice the change more. One day there is an empty field. The next time I see it, 50 houses are being built. 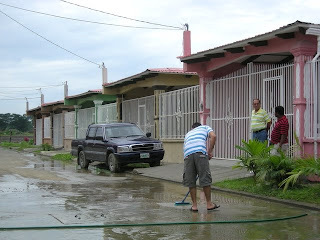 The next time, it is a full blown colonia with landscaping, kids outside playing, people washing their cars − as if it had been there forever. Our US brother- and sister-in-law were crushed to find out that these houses ran from US $81,000 to $102,000. These are nice houses, don't get me wrong, but they are very small 3-bedroom, 2-bath homes with almost no property other than a small front yard. The smallest house is 98 square meters or 1,055 sq. ft. The largest is 141 square meters or 1,518 sq. ft. − that is a small house by US standards. The interest rate on a 20-year mortgage is 10.5% in Rancho Lima, with 10% down. I haven't heard that 30-year mortgages are available in Honduras. The sales rep said that 10.5% was the best rate that can be had in Honduras and that it was way down from 20-22% a few years ago. He calculated the payment, after some strange wranglings with a "discount" and a "reserve", to be US $917 per month with a 20-year mortgage or $1,015 with a 15-year mortgage. That is L.17,331 (or L.19,184 on the 15-year loan) in a country where an average middle class salary is, oh, around L.7-10,000 per month and a salary of L.17,000 per month is considered very good. 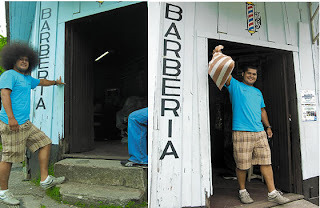 It is much less common for both the husband and wife to work in Honduras than it is in the US. Okay, I know Bob will bring this up and I've mentioned it before: There is a lot of speculation that drug money is behind the construction boom in La Ceiba. I don't doubt that at all, but I don't think that everyone is involved with narcotrafficking. It just can't be....Can it? Another aspect is the remesas (cash remittances) from family members in the US. Those funds coming from the US allow many families to live way beyond what they could ever hope for, working or not. The sales representative implied that many of the homes were being purchased by Hondurans working in the US and foreigners from other countries. A million of those Hondurans live in the US very tenuously and could lose their job or be sent home at any time. Unless their house is paid for before they move back to Honduras, they'll have a very tough time replacing that US salary in La Ceiba. 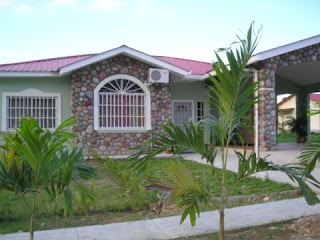 Our architect told us once that real estate never loses value in (mainland) Honduras. I kind of chuckled at the time, but who knows? The price of construction materials has had huge increases since we built our house. The price of concrete alone, one of the biggest expenses, had more than doubled and the cost of iron has increased tremendously. It's all very confusing to me. The country is poor, people are starving, there are no jobs, yet in a blink of an eye, thousands of new houses are sold and paid for at huge interest rates. What is going on? I had the use of one of the company's horses (a pony actually) and all I had to do was show up, saddle him, and ride. The ranch hands took care of all the menial tasks, feeding, mucking the stables, etc. This was an old, but wise, pony to the saddle procedure. My job was to cinch up the belly band snug enough to prevent the saddle from moving while riding. The pony had ideas of his own. He would take a deep breath, expand his belly as I cinched, and I would mount, ride off and in a few steps the saddle (and me) would slip off to one side. And the process would be repeated. I finally learned to wait until the pony exhaled..then harden up the cinch. This animal only had two speeds (when leaving the ranch) slow and stop. It was a different story on the return trip. Once he realized that he was homeward bound, he would break into a gallop that I couldn't control. Couldn't stop or turn him. He was headed to the barn, and that was it. I was just along for the ride. Frightening experience! My rides were usually to a small river southwest of La Ceiba in the direction of Pico Bonito. The stream was crystal clear. One could see all the way to the sandy bottom, 10 feet below. Near the opposite shore was a large rock; great for climbing up and jumping into the water. Also on that shore lived a man and his family. He tended a large grove of lemon trees. Once he offered me a small piece of fruit to eat. About the size of a kidney bean with red skin and a large seed. I was encouraged to eat the pulp. Mild panic set in as I chewed the pulp, and then that of another. What in the world was this man doing to me! He was all smiles and assured me that all was okay. A few minutes later, he picked a lemon, cut it open and offered me a slice. Fully expecting the acid tang of the lemon, I bit. Imagine my surprise when that lemon was as sweet as sugar! I have no idea what that red fruit was to this day. For the rest of the day, everything I put into my mouth tasted sweet. Once before riding to the river I decided to wear just swimming trunks, rather than changing into them at the stream. All was well on the ride out. It was a different story after the ride back. Valuable lesson learned that day....never ride horseback in a wet bathing suit! I couldn't sit down for several days without wincing. As a growing boy, I was in constant need of new and larger clothes. At that time there were no malls or department stores in which to shop. If one wanted clothing, one went to a tailor for custom mades. Bolts of cloth were there for your selection in colors and prints. My choices were not guided by parental advise, and they were my own whims. Looking back, my taste (as it were) ran to the garish. A far cry from the preppy looks of later years. Most of my shirts were along the lines of a guyabera with short sleeves. Shoes were handmade by a local cobbler. No pictures, no catalogs. The cobbler would trace the outline of the left and right foot on a piece of paper, I would tell him what style and color of shoe I wanted, and in a couple of days, they would be ready. I wore jodhpurs, mimicking my hero the BSA rider. I didn't have the motorcycle, but perhaps people would see me as a rider anyway. I don't remember the cost, but I'm sure they were inexpensive. No man made materials, either, all leather. The leather heels made a very macho click when walking on hard surfaces. Very appealing to a boy with no small amount of ego. I have the answer to your question, Ed! 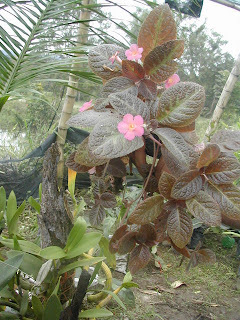 You ate matasabor (kill the flavor), also called Miracle Fruit. I had one of those bushes but one of the workers ripped it out by the roots and it didn't survive the transplant. I want to get another one. You can read my article about matasabor here. Thanks for the article, Ed. For anyone wishing to read more about 1950's La Ceiba, check out Ed's other articles under the "guest bloggers" topic in the sidebar. 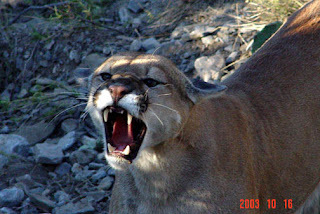 One of Los Pumas was murdered tonight in La Ceiba. Roving reporter El Jefe was going to the gas station around 9:45 p.m. and was surprised by a mile long traffic jam − very rare in La Ceiba for that time of night. Curious, he followed past the gas station and saw a crowd of about a hundred people alongside the highway. A bullet-ridden pickup truck with a body in the driver's seat was in the ditch alongside the highway. Several spectators in the crowd were lamenting the death of one of Los Pumas. Two people told El Jefe, "This isn't over. When (name of brother) finds out, there will be more killing." El Jefe said that people seemed scared, rather than just gawking as usual. Some were predicting mass revenge killings. He was also told that three other people from the pickup were taken to the hospital. La Prensa was there so there may be more information in the newspaper tomorrow or Saturday. I feel sad. La Ceiba has lost a legend. Now there are only two. P.S. Check out the comments on the Legend of Los Pumas article. Most of them were from people living in Honduras and all believed the legend to be true. 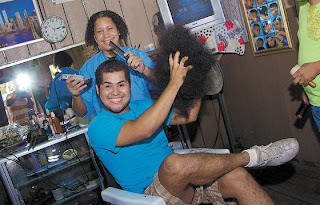 When does getting a haircut make the news? Sunday is a slow day for the news in Honduras. As opposed to the Dallas Morning News where the Sunday paper is huge and can take a big chunk out of the day to read if you really give it a good go, the Sunday edition of Honduras' La Prensa is a slim issue of 50 or 60 pages, including fillers of many international articles. So when does getting a haircut make the news? When Afroman gets a haircut! These photos make me smile every time I see them. I thought you might enjoy them, too. Retired Canadian Anne Fowler has been working as a volunteer in Honduras since 1993. In 2006 she moved to a small north coast village where she constructed Hamilton Benest House, which provides accommodation for visiting dentists, doctors, teachers and other volunteers. Anne continues to develop new community initiatives and strives to make the lives of the Honduran poor "a little better". She divides the year between Honduras and her Haliburton cottage north of Toronto. This program has continued with 1,800 new students from schools in El Porvenir and surrounding communities. Once again the puppets were a hit as they told their educational stories to a fascinated audience. Participation by teachers and visitors were applauded. Fluoride, toothbrushes and eye acuity exams were given to all the children. This year, we found several kids who required immediate help with their eyes…... notably, a thirteen year old girl named Delmi from the town of El Pino. She left school last year because she could no longer see the blackboard or even read. Born with cataracts, other problems had occurred and her sight had deteriorated to almost zilch. It’s an amazing testimony to her determination to have an education that she even reached grade 5. It was decided to operate on Delmi’s “worst” eye and see what the results might be. They don’t want to touch the other eye because it may be the only vision she will have if the surgery was not successful. The best case scenario is the use of special contact lenses (hopefully in both eyes) and perhaps more surgery on the cataract in the “good” eye to improve it. Worst case scenario, she is fitted with a contact in the “good” eye which will bring her vision in that one eye to about 20/70……better than her situation now. In either case it will be a long process but she should be able to return to school. Other cases that will be evaluated in Progreso next month include an 11-year-old boy who was hit in the eye with a mango last year and a 9-year-old girl who got nail polish remover in her eye (don’t ask) and they both have lost much of their vision. There are a couple of kids with such terrible short sightedness that we are also taking them to the clinic to get glasses. All of these children come from very poor families who cannot afford such medical treatment. This year was our first attempt at a “review program” for the schools where we had made our Healthy Living presentation with the skits last year. has been put “on hold” due to a lack of participation. Realistically, I cannot expect every thing we try to be a success and sadly the enthusiasm had dropped for this program. Perhaps we will try again next year with a monthly rather than a weekly meeting. Because Honduras has such a large problem with AIDS, this program is especially needed. We continued with the Grade 6 puppet presentations, and the high school seminars, and expanded to adult education with the employees of Standard Fruit Company. Three separate charlas (talks) were held, each led by a Peace Corp volunteer. Very well received, we have been asked by management to come back and do more. El Porvenir has no library facility either in the community or the schools. After meeting with the elementary and high school directors, teachers, parents, the mayor….it was determined that a library located in each school would be the best solution for the students and that the community could have limited access to both. In Honduras, books cannot be removed from a library and must be used on the premises. So now I had TWO libraries to establish. Where to get the money???? The high school library is a project that will be generously funded courtesy of a matching grant between the Rotary Club, Ames, Iowa and the Rotary Club of La Ceiba. Our mayor is building a separate room at the high school that will house the new library. This was an unexpected bonus as we thought we would have to use two adjoining classrooms already in existence. The teachers have approved my library space design and are busily preparing a list of books to purchase when the time comes later this year. The elementary library is already well underway. In a large existing classroom, which was designated for the library, we have painted, installed electricity, a local carpenter is building the shelving, AV unit (for the TV and DVD player), tables, computer desks. Donated books are being shipped to Honduras. The rest of the books will be bought and so far I have enough money to buy 50% of the teachers’ “wish list”. Hopefully I can purchase the rest when I get back with more cookbook profits!!! Originally was planned as an activity specifically for mothers and preschoolers to encourage reading stories (something they do not do here….no books) plus an introduction to English. At the request of teachers we are now incorporating the program into the kindergarten schedule. Once a week (moms are invited to attend) we spend 45 minutes reading/discussing stories and teaching introductory English vocabulary (i.e., numbers, days, common words) utilizing visual props and games. This is a big commitment for us since it must be an ongoing program without interruption. Next year teaching more English at the Grade 1 level will be included. We all know how much children want to be like everyone else. Although the school uniforms are cheap, there are some families who can’t afford to buy one and their kids feel “different” or simply don’t attend school. It affects self esteem and the child’s social orientation. I will be working with another Peace Corp Volunteer who lives in the nearby town of San Francisco and whose work for the Peace Corp centers around establishing small businesses. This proposed program is Bob Roxburgh’s great idea! We have had several meetings between Standard Fruit and town officials. El Porvenir has no garbage pickup and generates a tremendous amount of plastic glass bottles etc. The current plan is to involve a few local women, students from the high school needing to do community service and a person from La Ceiba who is willing to pick it all up and pay for the recycled material. Thank you for the guest blog article, Anne, and best of luck on your new programs. I'm particularly glad to see the uniform exchange and recycling programs as well as the health and reading efforts. If anyone would like to contact Anne, she can be emailed at anne.fowler (at) sympatico.ca.